You must make reservations at least 5 minutes in advance of the time at Waterfront Wines. We have street parking located on Sunset Dr. There is also a parking lot on the corner of Water & Sunset. Why use a caterer? For many people with an active, busy lifestyle, the thought of organizing a party, large or small, can be a daunting proposition. Using a professional caterer allows you to be a guest at your own party. We provide a full range of services. From casual backyard BBQs to Weddings to Upscale Corporate Functions to Custom Chef at Home Menus with perfectly paired wines. We employ professional staff and event consultants able to coordinate every detail of your event. Please contact Sarah Wallace at catering@detailscatering.ca or 250-878-9890 for more info. We have a private dining room that can comfortably seat 18 people. With groups we will be happy to work with you to build a custom menu that suits your needs. 1 bill with an 18% gratuity will be presented to groups of 8 or more. 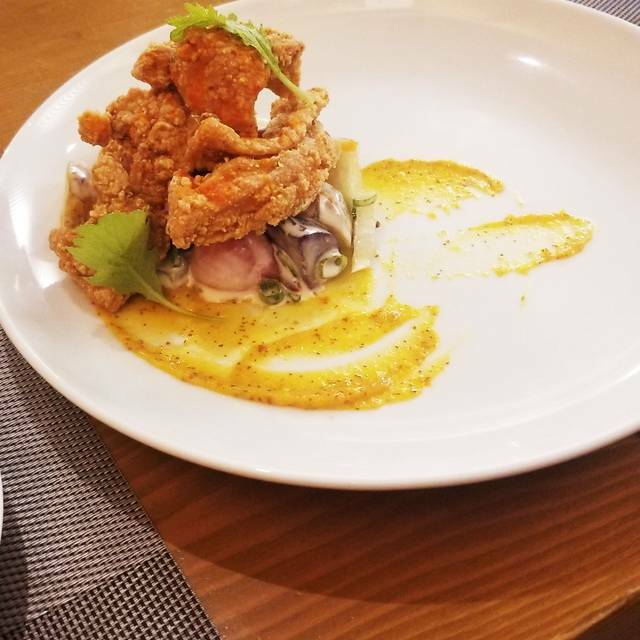 Under the direction of Chef & Sommelier Mark Filatow, Waterfront Wines Restaurant & Wine Bar has developed a fresh, continually evolving menu which reflects all that the Okanagan has to offer. Waterfront is a small 50 seat Restaurant and Wine Bar. We have just begun our eleventh year of business and have established a strong following for the creations of Chef and Sommelier Mark Filatow. 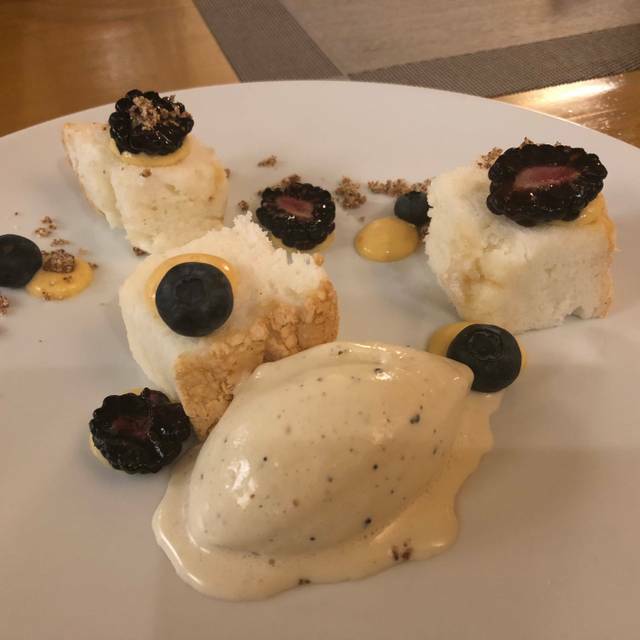 Chef Filatow exudes a passion for his art that is brought to new heights through marriages with the exclusive selections found on our wine list. Our menu specializes in a mixture of Tapas-style items and Main Courses, with the focus on offering our guests as wide a variety of flavors as possible. Cognac – Remy Martin X.O. Great staff and amazing food. Food was amazing. Great service. Great booze selection. Was a great meal! Nice tapas selection. Flavors very well executed! We will be back. Excellent, just excellent. The dinner was probably the best fine dining experience we have enjoyed in the last 3 years (seriously). Good sized portions but not too big. We had the mussels (shared them). Cooked perfectly. And both of us enjoyed the lamb. Tender succulent gorgeous sauces and a lovely relish on the side. The roasted vegetables were very good. And dessert was so tasty....I never order dessert. Shane was an excellent waiter. Gave us good suggestions, attentive but not “in your face”. We had an excellent evening. The food was delicious. My son is a chef. He runs a restaurant. So knows the business. He was impressed as we were. I hope someone invites us to dine with you again. As always, we were treated royally, our dinners were scrumptious, an excellent evening all around. Thank you again for a wonderful meal. If you haven't tried their Angus flat iron steak, you must, it's the best!! Our waiter was very knowledgeable about the wine, friendly and prompt. Fantastic food! Only disappointment was that the server forgot our oysters so we got them with our main courses. Otherwise, it was amazing as always. Everything about this restaurant was amazing! We came to Kelowna for my birthday and decided to go here for my birthday dinner. The service and food were outstanding!! Will definitely be back on our next visit to Kelowna. Easily our favourite restaurant in the Okanagan. 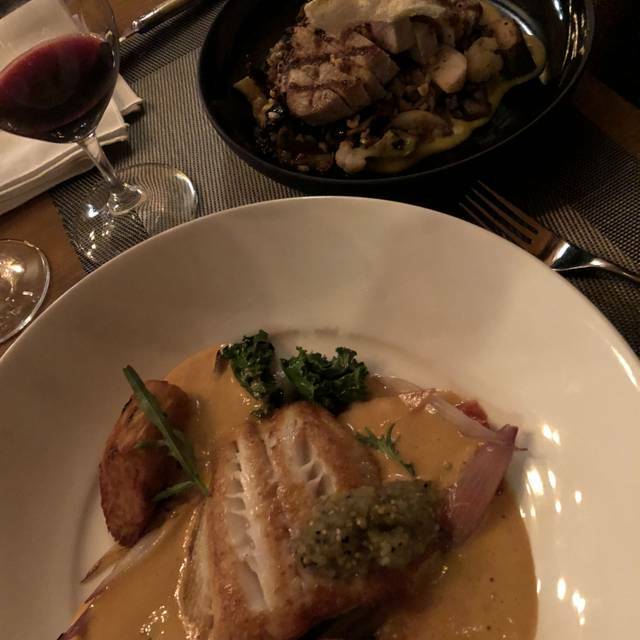 The space is cozy, the service (especially Genevieve + Shar) is amazing, they have an eclectic local wine list and the food is always to die for. My first time here!! Unfortunately we ran out of time to try the desserts. But everything we had and the experience was very good!! In general the food was well prepared and tasted good. 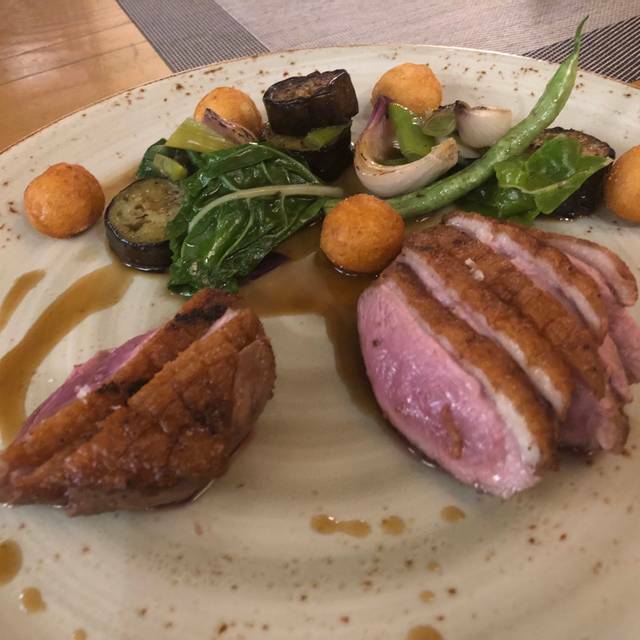 The feature duck dish was decent, but uninspiring. I was hoping for something more inventive than well cooked duck in a brown sauce. Service and atmosphere were good. I would return and try some other dishes. 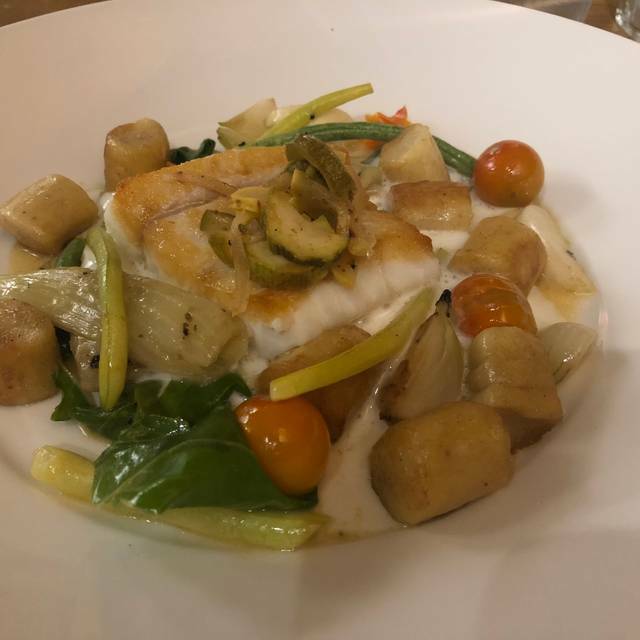 Although the food was very good, the noise level was very high and hard to hear my partner across the table, we were talking as loud as we could without yelling. As for ambiance there really was none, seating for us was across from the bar and felt very cafeteria like and crowded. The fact we couldn't hear each other very well took any possible ambiance away. Not a great place for a date night. I would recommend for good food but not if your looking for ambiance. The chocolate and coconut cake is that satisfied. A bit sour and soft. Everyone was having a great night out after not seeing each other since December. We started off with Cocktails, had a couple of bottles of wine and appetizers, then our main meal. Finished with Cocktails and dessert. At some point while we were sipping our cocktails and someone was eating a dessert, we were told by one of the restaurant staff "We have sold this table, so you'll have to leave" I live downtown and eat dinner out about 3-4 days of the week and often have business dinners at Waterfront Wines with larger groups. I have never been told that I could not stay any longer or have another drink, at a restaurant, before Last Saturday night. I understand if you have advertised seating times etc. but nowhere does it say that I can only stay for 2 hours then I have to get out. Now I know. Food was very good, and a great selection. Noise level was very high and tough to carry a conversation. A bit tight for seating. The atmosphere at Waterfront Wines is warm and inviting. We ate there for our Anniversary and will definitely be returning. Everything we ate was prepared and served in a timely manner and tasted unbelievably good. We appreciated the variety available on the menu for starters, main dishes, drinks and desserts. 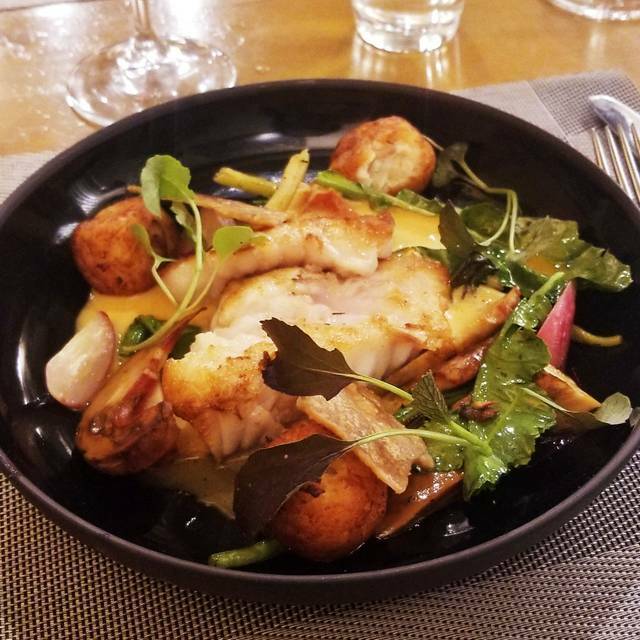 Our favourites included: the cheese plate, cod & octopus main, squash dumplings with tofu & mushrooms main, coconut and lemon dessert. The special was steak, which sounded delicious as well. There truly is something for every pallet on, The Waterfront Wines menu. Enjoyed the food and the ambience. Very good appetizers, entrees and desserts. Cheese selections for cheese tray were good but portions were fairly small so we had to order more cheese to use up bread and crackers. Music was a bit loud but otherwise it was awesome. Service was great as well. What a fantastic experience. Went for an early dinner with my mom before a show. Food was delicious and wine was well recommended. Service was top notch. It was a pricy meal, but top value food. A wonderful dining experience. Thank you! I am celiac and I was amazingly accommodated. Service and food were both excellent! We had a client dinner here and it didn’t disappoint. Incredible food, great service. Highly recommend! One of my favourite places in the Okanagan! Fabulous food, amazing customer service and great atmosphere. Everything about Waterfront was amazing. From the impeccable service to the incredible food and ambience, this place has it all! First time here for our party of 6 and we all enjoyed ourselves! A nice surprise spot, small though we felt enough space around us for our conversations. Food & service were great. Excellent dinner, high energy aesthetic, professional service. Fantastic food, service and atmosphere. Best restaurant in Kelowna !! The food was excellent. It was prepared well, was served at a good temperature and remained warm long enough. The potted foie gras was the best we have had anywhere. We had a wonderful meal with some terrific wine that was recommended to us. We look forward to going back. Each time -- the absolute best place in Kelowna. Classy, fun, senational food, awesome wine, stellar service, good sounds. Love this oasis. Grateful to have this slice of NYC in the Okanagan. Outstanding food. I'm never disappointed. Sauces were delicious, innovative presentation and plate compositions. Great wine list. Friendly staff. Best restaurant in the Kelowna region. Fabulous food and service! One of the things I loved about this restaurant was how cozy it was, and how I could actually hear what my friend was saying. Due to hearing loss, I struggle in many of the newer cavernous and super loud eating establishments. And, to top it off, the chef totally catered to my dairy allergy. It was all delicious. Such a great experience. The staff were knowledgeable, the food was unique and the wine was well paired. We can’t wait to go back! Well worth your time. As first timers we did not know what to expect. A real gem. Service was a 6 out of 5. The food matched the service. Parking was a challenge but it's a minor thing given the enjoyment of the evening. Excellent cocktails. 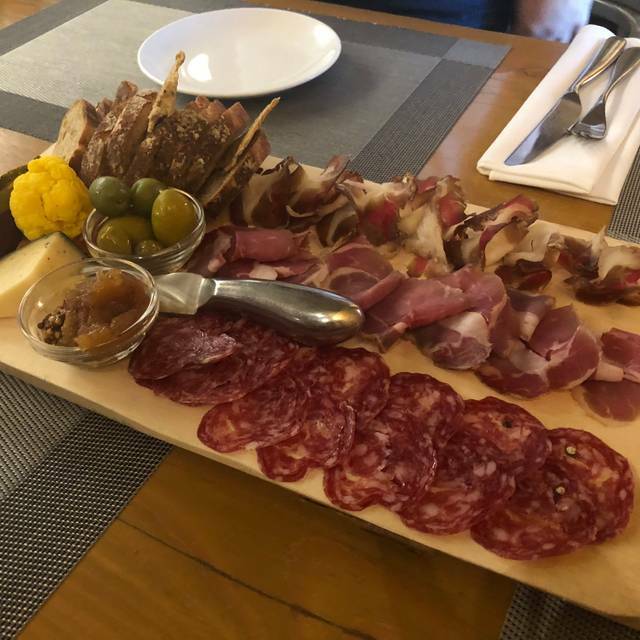 Charcuterie, including recommended Cheeses and foie gras were both superb. My wife had the lamb, which was excellent. Beautifully seasoned and cooked dish. My fish (the special) was, unfortunately, very "fishy," so sort of disappointing there. Always Great. Went exactly as we knew it would!! Great food and great service each and every time. 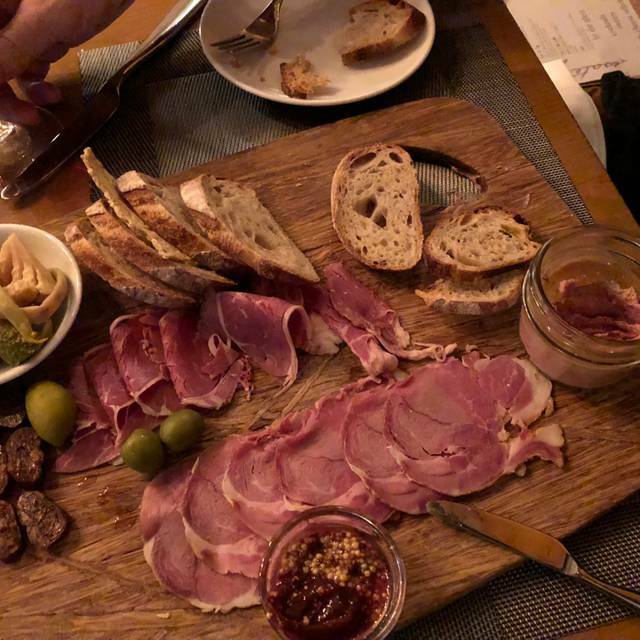 Lamb Duo and the Charcuterie were perfect. Set menu and it was fabulous!!! This was our 3rd valentine dinner and the previous 2 years is what brought us back for the 3rd year. We love the restaurant, staff were great, ambiance is amazing but we were really underwhelmed with the food this year. One would think when you have a $250 meal you would be wowed, but we were not all. Like I mentioned the previous 2 years brought us back this year but we will be choosing another spot next year. We had an amazing meal and experience! 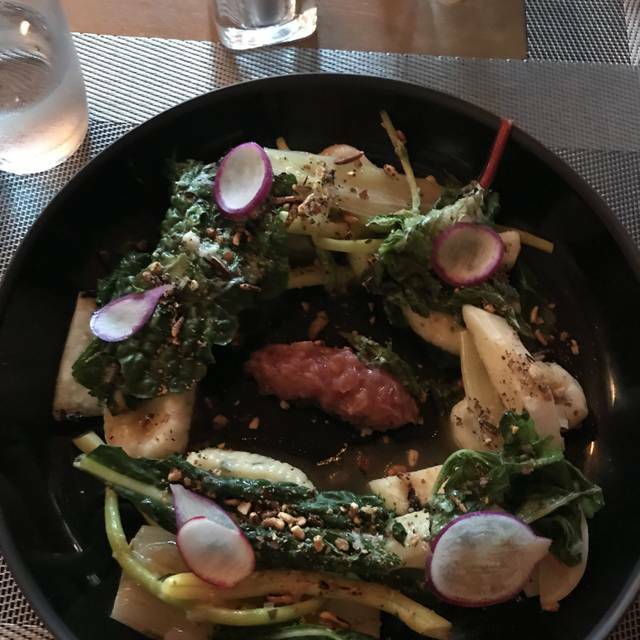 It was our first time there and the food was epic and our server was so knowledgeable, kind and helpful, we will definitely go back and soon!